I must admit, my first passion is and will always be nature. There's nothing quite like escaping the noise of the world for a brisk stroll through the woods or a quiet moment on top of a mountainside to be reminded that there is a greater being in charge. It stirs my soul and speaks directly to my heart. As I've been laid up sick I've had time to go through some of my photos and reminisce. Photography is a powerful medium and I'm so thankful for it's presence in my life. I still have much to learn when it comes to my camera, but I hope that whatever level you are on the spectrum, you are making a conscious effort to capture life's fleeting moments. What remarkable photographs, you have such a gift Alicia. Thank you for hosting this linky. Happy Wordless Wednesday. I always love your portrait shots; not many people possess the creativity and vision you have! I hope to someday be as good! Wonderful pictures. Thanks for hosting. Sorry you still feel sick :( I know the feeling of being shut in. You are wonderful with your photos, I look up to you! so don't say you need more, but then learning is a life long journey! I love your story this collage tells. I could spend hours looking over all of your amazing photos! Nature is a great inspiration. I hope your a feeling better. Beautiful photos! I love getting in touch with nature also, but like you have been trying to expand my horizons and take better portraits. I hope you are feeling better soon! Absolutely fabulous photos!!! Feel better soon! On a somewhat separate topic, I didn't even know you played piano!! And as always I love your pictures! I do have fav actions, but I like to mix it up... I have multiple programs I use and am always trying new ways to edit. ;) Thanks for the visit! Hmm... I'll have to find some of these coke ads... ;) Sounds like it could be great inspiration! Aw, thanks so much Karly! That means a lot! Happy the post resonates with you. I fell in love with that quote instantly too! I think practice makes us more comfortable... at least that's what I try to tell myself, ha. Thanks for the kind words. Thanks Evelyn! Appreciate your sweet thoughts. LOVE the pictures! I hope you feel better soon! Great captures Alycia! I'm with you that nature makes me think of how amazing the world that we live in is so beautiful and makes me appreciate that God created it for us to enjoy! Happy WW! Love your photos. Happy WW, looking forward to linking up again next week. Those are lovely! I get so inspired by your framings. Lish, you always take perfect photos! I always enjoy looking at your photos. I think it´s a gift to see the beauty which is around everyone. I hope you are feeling much better soon! Beautiful collage! I love the one of the kids wrapped up in the flag. I'm right there with you. Nature and nature photography calm me, but a good photo shoot with people exhilarates me (as much as it fills me with anxiety before hand!). You are so talented Alicia! Beautiful memories!! Your family certainly has their lives documented quite beautifully my friend. So very important.Hope you feel better. Love the one in the right lower corner! Life is Beautiful!! I hope your feel well again! how did I afford it before it was digital? 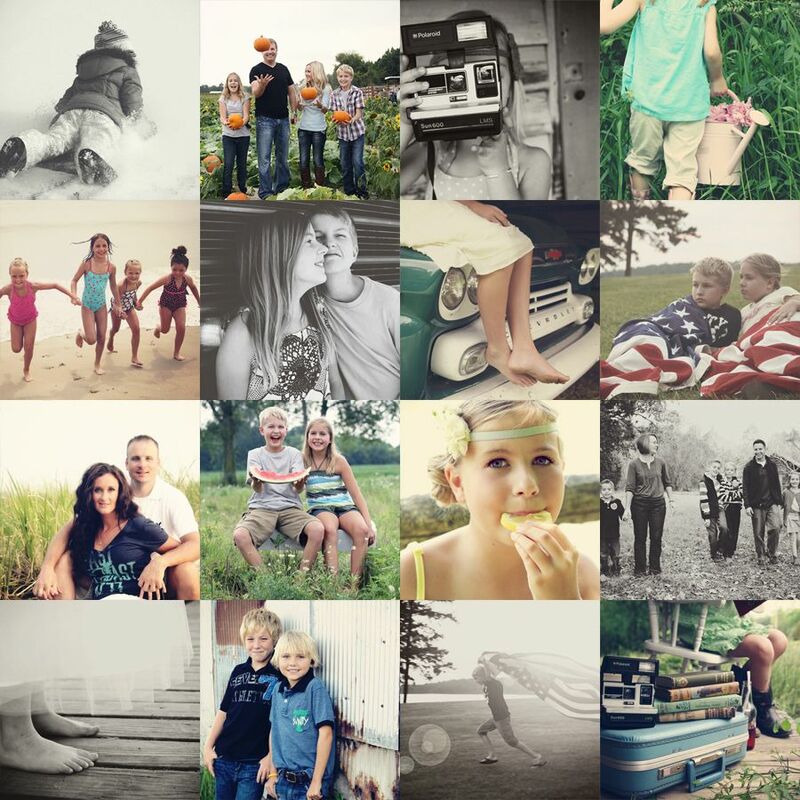 SO beautiful collage - a bunch of happy moment, living the life to the fullest! i stopped in yesterday but didn't want to leave a comment until i had a chance to check out your porfolio. i love it! You have many lovely photos!! your work is beautiful! i also love taking portraits. i'm looking forward to getting out there and getting started again! your collage is full of greats. my favorites are the one of your kids wrapped in the flag, them with the watermelon and your daughter with the lemon. I remember those photos...I think the Vintage photoshoot was my favorite one! We didn't take nearly as many photos back in the day. We also printed many that were not worth printing because we had no other option. Boy have times changed! Thanks so much! Looking forward to seeing you again! Well, today is two weeks for me and I am FINALLY started to come around. Whew! It really was a doozy. Thanks so much for the visit!